Open Outlook. From the Outlook menu, select "Preferences." In the "Outlook Preferences" panel select "Accounts." 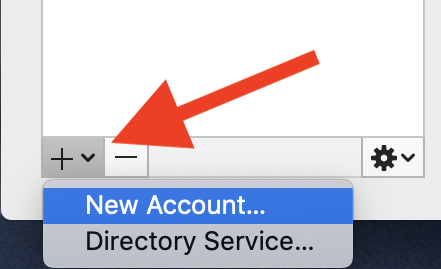 At the lower right corner of the Accounts panel click the Plus + icon and select "New Account." On the "Set Up Your Email" screen, type in your Porkbun email address and click "Continue". Outlook will think for a moment and then display "Sorry! We couldn't find a match." 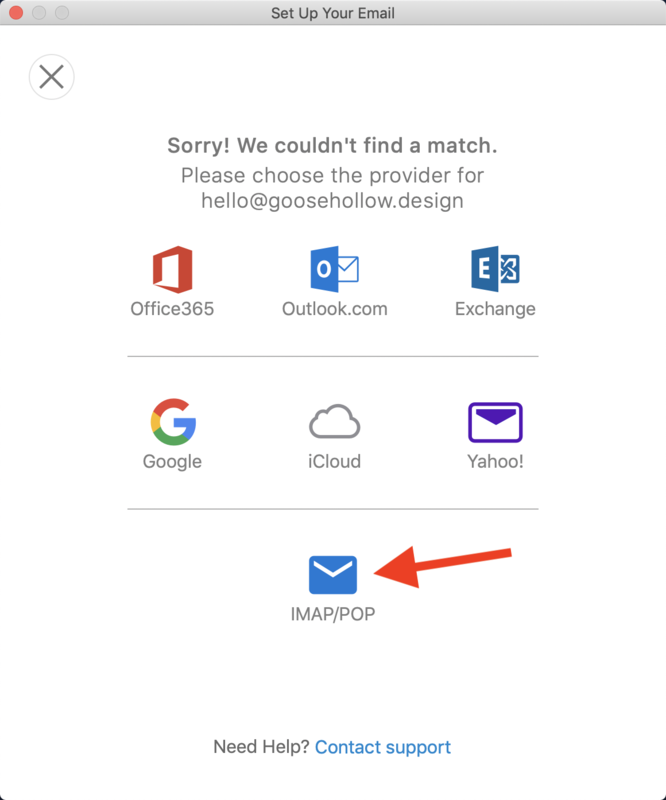 Select the IMAP/POP icon to continue to the manual setup screen. 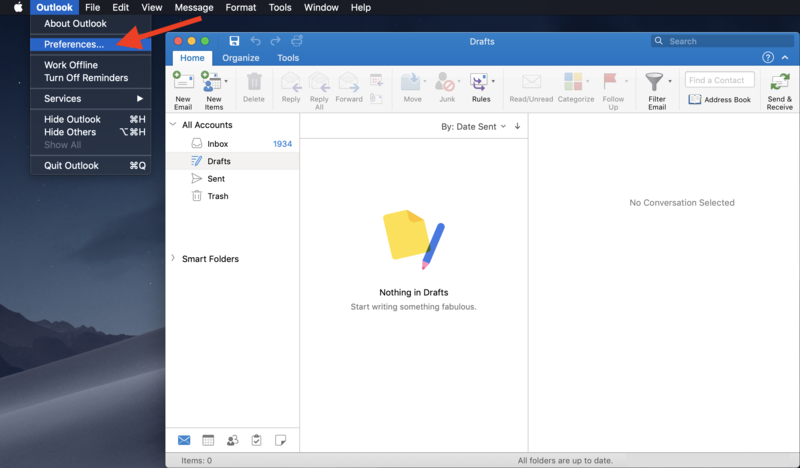 Type should default to IMAP. 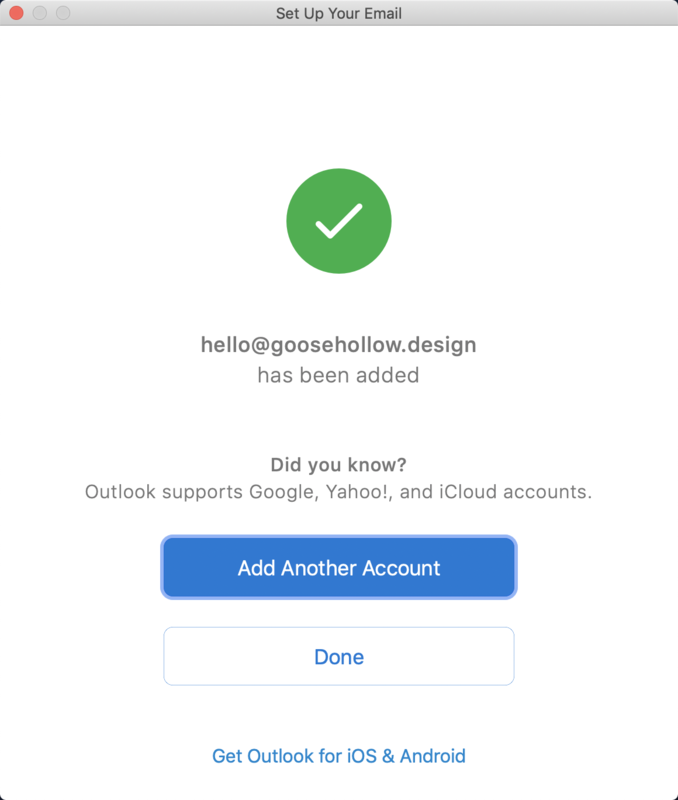 Email address and Username are both the full Email Address. Port: 993, Check "Use SSL to connect." 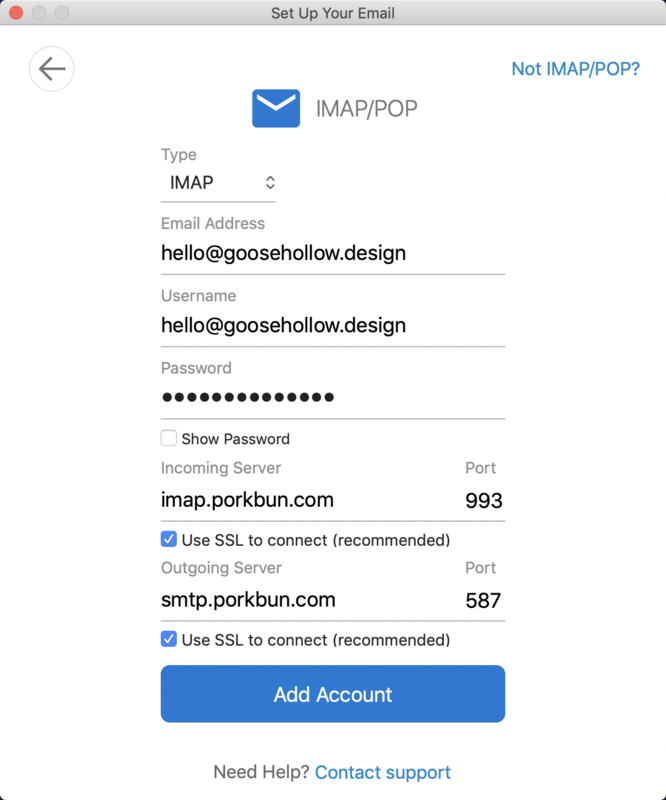 Port: 587, Check "Use SSL to connect." That's it! 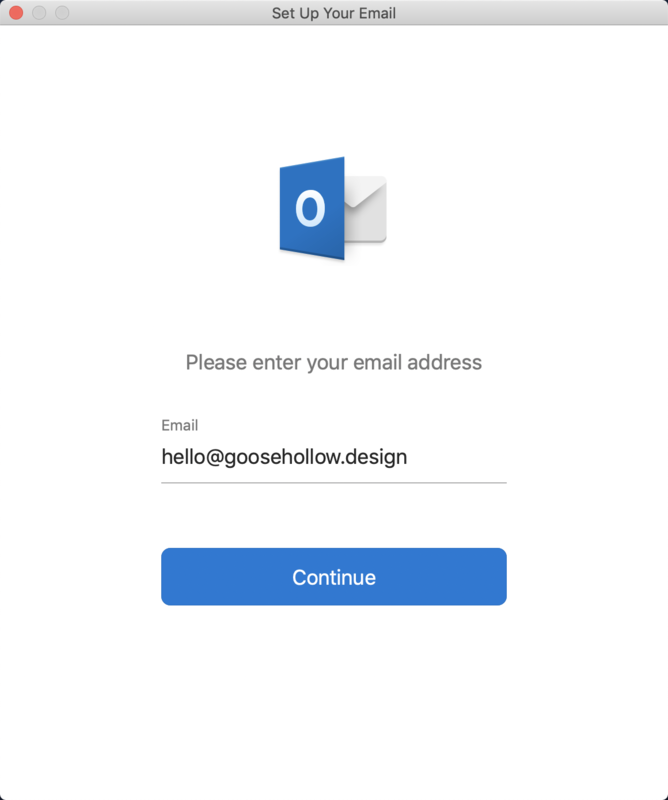 Outlook for macOS is now configured to send and receive from your custom email address.